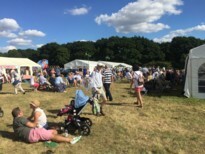 Since 1935 the Littlewick Green Show Society has presented and promoted the annual Littlewick Show. 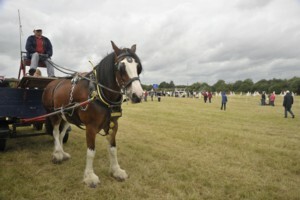 Its purpose is to bring together, for one day, horticultural, farming, rural and other craft skills, amusements, sideshows, sales and promotional stalls. It gives opportunities to local charities to have fundraising stalls and/or information outlets. It provides general show events, exhibitions, competitions and entertainment open to the public for its participation or simple spectating or viewing. The Society is non-profit making and any surplus income, after deduction of promotional and other expenses as provided for by its Aims and Rules, is distributed by way of donation and/or grant aid to charitable organisations in Maidenhead and District as may be decided upon by the Committee of Management at its discretion.